I am sure most of you have seen these little guys by now..have to admit ..I'm rather addicted to them..they are so cute....easy to cut and colour,I have used my spectrum noir pens on these. 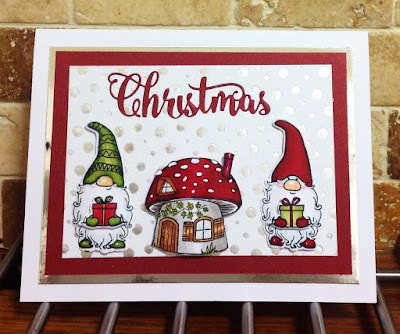 Hi Laney, I love these cute little guys and the way you've used them on your cards. Love that you let them hold letters to spell out a name so that the Christmascard is very personal. Thank you for joining the challenge at Addicted To Stamps Challengeblog. Hope to see more of your work.